Come join in the excitement of wrestling. Learn the basics of wrestling, balance, flexibility, coordination, and even nutrition. Compete against children of the same age and skill level. 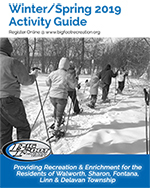 All levels, from beginner to experienced are encouraged to participate. Head Coach Tyler Heck will be running a wrestling camp this summer from July 22-25, 9:00-10:30 am for grades K-8 at Big Foot Rec. RECAP: The Big Foot Wrestling Club just wrapped up their 2018-2019 season. With well over 30 kids in the club, we had a very successful year. The kids all learned many new skills and participated in multiple tournaments throughout the season. Special thanks to all the coaches and volunteers for making this a successful season! Aaron Rowland and Carter Ries qualified for the Wisconsin Wrestling Federation Youth State Tournament. 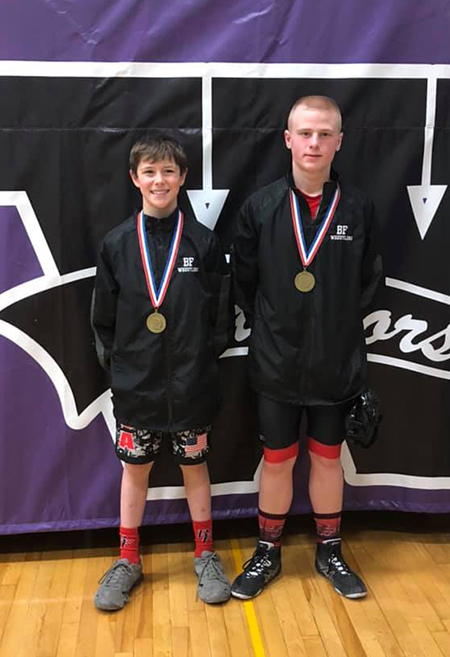 They both took 2nd place at the Waunakee Regional Tournament on March 16. They competed at State on March 22-23.